Route 143 generally follows I-43 between Port Washington and Milwaukee. Ozaukee County has free parking at six park-ride lots located at Hwy H/32 in Port Washington, the Saukville Wal-Mart, County Highway V in Grafton, the Grafton Commons, the Target Store in Grafton, and County Highway C (Pioneer Road) near Cedarburg. Plus there are five additional stops along N. Port Washington Rd in Mequon including one serving Columbia St. Mary’s Hospital. Approximately 15 stops are located in Downtown Milwaukee along Kilbourn St. and Wisconsin Ave., seven stops between W. Capitol Dr. and McKinley Blvd., and two more between Downtown and Mitchell St. There are five trips into Milwaukee each weekday from the Port Washington and Saukville park-ride lots, and ten trips from the Grafton lots and all other designated stops south of there. Eight evening return trips leave Downtown Milwaukee each weekday as well as several morning trips aimed at getting workers to Ozaukee County. 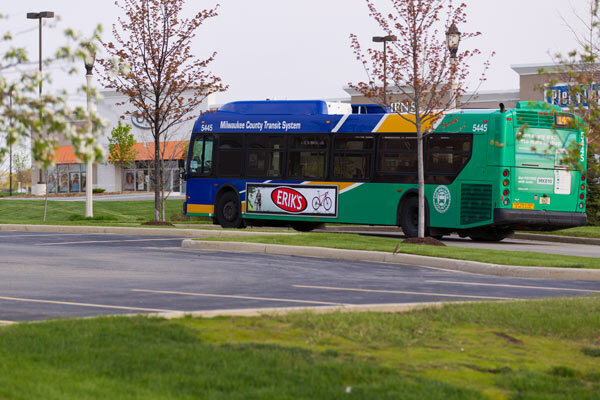 Milwaukee County residents who work in Ozaukee County can ride the Ozaukee County Express bus to various park-ride lots, and arrange rides on the Ozaukee County Shared Ride Taxi to complete their trip. The Ozaukee County Express does not serve every shift time for all employers so please check the schedule for available times.